The most important thing to do to decide what CRM is best for you is to identify exactly what it is you need the CRM to do. Then you need to ask yourself how much can I spend. CRM solutions vary widely in price. You have everything from free to thousands of dollars a month depending on the number of users you have. Over the years, my thoughts about CRMs have changed. I believe EVERY business needs a CRM, no matter how large or small, but going outside your budget will leave you feeling like you wasted a lot of time and money. So don’t do that, pick the CRM that fits your budget now. I’ve listed CRM options at the end of the article. The next question you need to ask is, who will learn the system and make sure everyone uses it. I will never forget going to a client who was spending $10,000 a month on SugarCRM and having him tell me that only about 4 of his 50 employees were using it. I spent the next minutes not hearing a word he said thinking about all the ways $10,000 could have been spent that would have mattered to his business instead of just being flushed down the toilet. Then when he said he had a contract and had been paying SugarCRM for 3 years, I got even madder thinking about the money being thrown away – someone could have bought a house, started a business and went on a world trip with the money that was being wasted at this one company. I digress; the waste still gets me going. So make sure you or whoever you are buying the CRM for are dedicated to LEARNING it and USING it. Otherwise, again you will feel like you wasted a lot of time and money and any talk of a CRM in the future will leave a bad taste in your mouth. FULL DISCLOSURE HERE – If you are dedicated to learning and using a CRM but need help implementing it – Michael and I offer training to set-up your CRM, WordPress, or Email Marketing Software. If you need help, email me here. Otherwise, you are ready for the next step, which CRM to choose. The CRMs listed are in order of price, from least expensive to most expensive. This is not a product review, I may do that in another article, this list is to simply give you an idea of what’s out there and the pricing. I have used most of these CRMs in my business at one time or another over the last 16 years. I am currently using Insightly, I like it the best because: the price is right, it does what I need it to do, I can set up the automations I need relatively easily, and the apps I use integrate well with it. This is not a definitive list, there are many more. 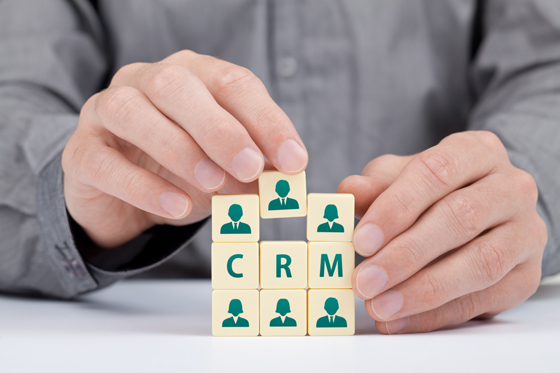 Of note, one of the most common misconceptions about CRMs is people believe that a CRM will do everything for them, with no effort on their part, the CRM will basically perform magic with very little effort. THIS IS NOT THE CASE. No matter if you are spending no money or thousands of dollars a month on a CRM you will have to continually learn it, use it, create work-a-rounds to make it work for you, change it, update it, add to it, and monitor it. Remember, if the data is not in your CRM it didn’t happen, your CRM will only be as good as the data you put in it. Some of the companies we’ve done work for have full time staff that manages their CRMs and the databases for the CRMs. So remember, you have to work on it. But, if you do, you won’t regret it, it could be your biggest source of income. It is true, there is many more. Some good, some not so good. But market is very big and competitive. There are many! Which one do you like best? Hi Szymon – I’ll give Sugester a try.